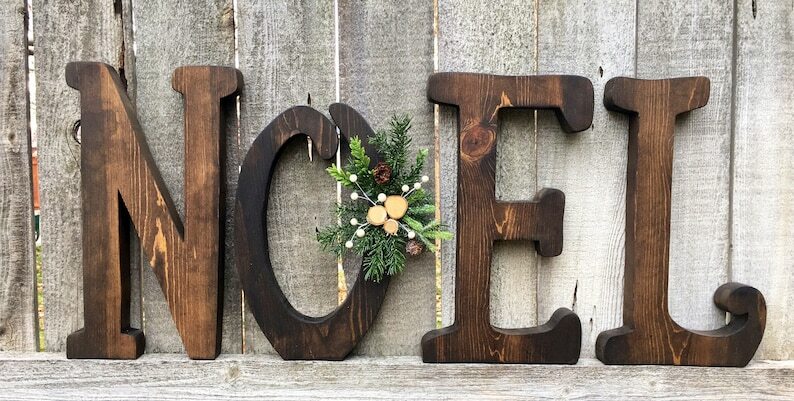 Striking large size Noel letters for your Christmas decor! Perfect statement piece for a mantle or prominent display space in your home! 🎄 These letters stand on their own cut from 2" thick pine. 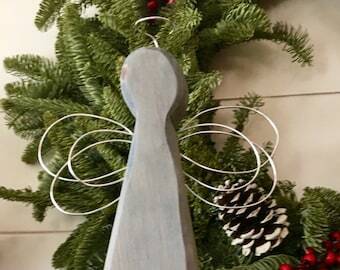 🎄 Each letter measures approximately 8" wide and 16" tall. 🎄 Finished in a gorgeous dark Walnut Stain allowing the beautiful and unique character of each piece of pine to shine through. 🎄 Completed with beautiful faux greenery, white berries and wood slices.